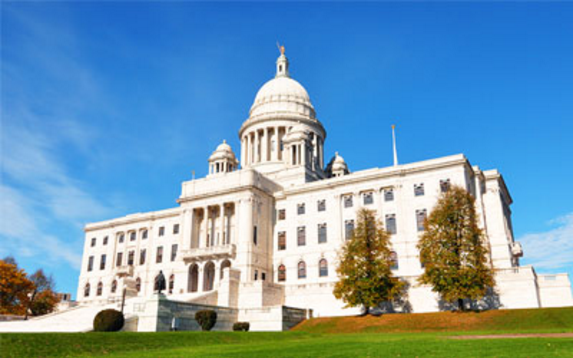 Earlier this week, Rhode Island state officials gathered for a lengthy House Finance committee meeting to address the states proposed budget for 2017. This budget, amongst other expenditures, will address the Rhode Island medical marijuana industry head on, to help improve inconsistencies in both production, and distribution of medical marijuana throughout the state. Specifically, the state wants to implement new fees and a tracking system that would help level the playing field between growers and distributors, and make sure everyone is playing by the rules. And after the latest hearing, one thing’s for certain when it comes to regulation on a state level; there needs to be a massive overhaul of the current system that’s in place. During the House Finance hearing on Tuesday, Gov. Raimondo was presented with various scenarios from the Department of Health in regards to controlling and monitoring medical marijuana as it goes from production to distribution, and distribution to patient. The analysis, however, leaves more questions than answers. Rhode Island’s Department of Health Director Nicole Alexander-Scott described her agency’s position as “uncomfortable”, as a lack of oversight has made it nearly impossible for them to track the quality of medical marijuana available to patients once it’s grown. This is due to lack of Gov. control over the growing process, and not the distribution; something that distributors have been complaining about for years. There’s a logjam of applicants that need processing from the Gov. Another big issue facing Rhode Island in regards to regulating and overseeing medical marijuana is the process of approval for applicants. According to data from the Providence Journal, the Rhode Island Health Department receives around 125 patient applications for medical marijuana each week, yet can only process a fraction of that due to staffing and resources. Officials claim that there is now a backlog of over 500 applications yet to be processed, and that number could go up significantly if resources aren’t increased to match the demand. The Health Department is now asking the Governor to add extra resources to Rhode Island’s medical marijuana program for the 2017 budget, in order for them to streamline the process of applications, as well as control the quality of the end product for the user. This process is far from over, but as of now, one thing’s for certain: 2017 will see drastic changes in medical marijuana regulation for Rhode Island.